On you two whites, Vanilla-san and Maria-chan. 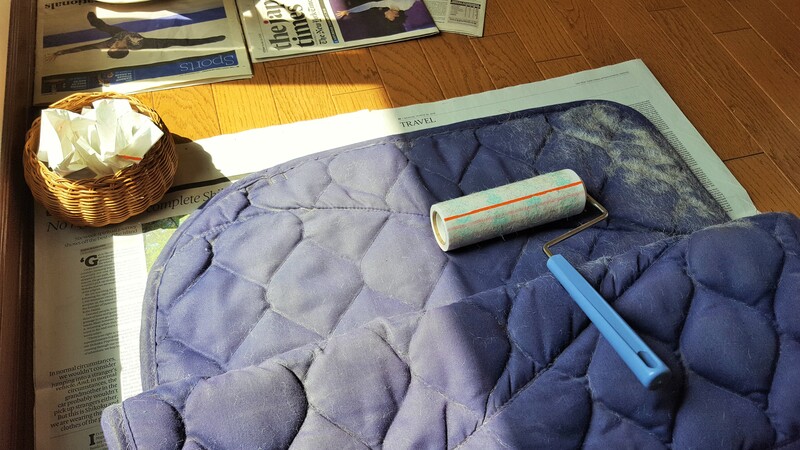 Mei-Shun was so exhausted to clean up following saddle pad in blue that she decided to purchase another in their color or beige. Although they do not perspire much these days, change from winter coat to spring one is still going on. It is fun to take care of horseies and riding equipments, yet she has many other to enjoy with Mikan-chan treatment on the top of her list.